When the United States entered World War I, Mt. Lebanon was only five years old. This small farming community of 2,100 people sent 135 young men to fight in the Great War. 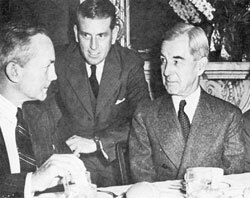 Many had not even been to the city of Pittsburgh or crossed state lines, and their departure for foreign lands marked the beginning of the end of America’s isolation policy. Eleven of them returned home wounded, and William George Hackney, a young black soldier, was killed in action in France. After World War I, Mt. Lebanon honored these soldiers with a plaque at the gates of the Mt. Lebanon Cemetery. It lists many names that are still familiar today—Beadling, Martin, Bowen, Haller, Gilfillan, Mulert, Yost. During the war, Mt. Lebanon residents found ways to support and aid the war effort. A Red Cross unit was formed April 21, 1917, with an auxiliary in Beadling and a Junior Red Cross in the schools. Members made bandages and tourniquets and gathered food and clothing. More than 28,000 articles were sent to servicemen. The sale of Liberty Bonds helped defray war expenses. To help the nation’s food conservation program, children learned canning methods in school, and most families had a War Garden, growing green beans, beets, corn and potatoes. Mt. Lebanon men who died in WWII include, from left, George Shields Jr., William Thomas Jr., William Murchison, Earl Smull, John Morgan Stewart Jr. and Norman Elliott Jr..
Records indicate that 2,644 Mt. Lebanon men and women served in every branch of the military and in every theater of a global war. Of these, 65 died, and hundreds were wounded. On the home front, residents moved into a variety of war-related activities. They served on the Civilian Defense Council and the draft board, trained as air raid wardens, auxiliary police and firemen and airplane spotters, and worked in canteens, first aid, home nursing and other related war duties. More than 800 Mt. Lebanon residents volunteered for the Air Raid Warden Service, a unit of the Allegheny County Council of Defense and under direct authority of the State Council of Defense. F.S. Olmstead, Chief Zone 28 warden, was extremely proud of the air raid program in Mt. Lebanon, which had 42 air raid posts with 10 to 20 volunteers each. Mt. 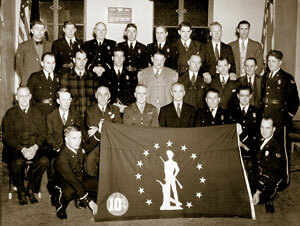 Lebanon firefighters hold a Peace Bond flag in 1942 as part of a War Bond Drive. Periodic air raid drills required full participation by the public. If the drills were held at night, strict blackout conditions were imposed, including the halting of all non-official motor traffic, the extinguishing of headlights and the use of blackout curtains—heavy black fabric affixed to the outside of curtains. The school district augmented the township’s efforts. Students were drilled to clock-like precision. Three types of drills were set up: No Evacuation, where all students remained in their classrooms until the all-clear sounded; Partial Evacuation, where students who could get home in 15 minutes were dismissed and all others sat in the corridors, and Complete Evacuation, where any student who could make it home in half an hour was dismissed. A well-equipped air raid post, such as the one maintained by warden Frank Root in the basement of 41 Lebanon Hills Drive, included helmets, armbands, whistles, wooden rattle alarms, first aid kits and other medical supplies, folding cots, blankets, flashlights, axes, shovels, portable water tanks, gas masks, lanterns, rope, barricades and an impressive array of army field manuals and other printed matter. Along with other civilians, Mt. Lebanon residents saw cuts in automobile production and building construction, the rationing of rubber tires and restricted gasoline consumption. Speed limits on highways were reduced from 50 to 35 miles per hour to save gasoline. The federal government instituted the Office of Price Administration (OPA) and the War Production Board, which rationed raw materials, set wages and fixed wholesale and retail commodity prices and rents. Meat, sugar, coffee, butter and cooking fats—all needed by the armed forces—were rationed. Coupons distributed to each household by the Rationing Board were needed to buy any of these products. To ease the food shortage, residents turned their flower gardens and vacant lots into vegetable “Victory Gardens” and saved tin cans, bundles of newspapers, cardboard and anything else that could be recycled for military use. Blue star banners hung in windows of houses that had a family member serving in the war; a gold star honored a soldier who had died. As the 1950s progressed, local concern over Communism rose and postwar prosperity was increasingly clouded by the Cold War, a palpable threat to Americans, who feared a nuclear attack by the Soviets. Some Mt. Lebanon residents built bomb shelters in their houses and stored canned goods and water. The school district built and stocked a bomb shelter at the high school and issued dog tags to students for identification purposes in case of a nuclear attack. Beckley Smith, a Pittsburgh radio newscaster and Mt. Lebanon resident said, “Mt. Lebanon Library is about as subversive as Herbert Hoover.” As the accused spoke up, the controversy fizzled and residents went back to other concerns that faced them. The accuser continued to investigate other organizations in the community with similar results. 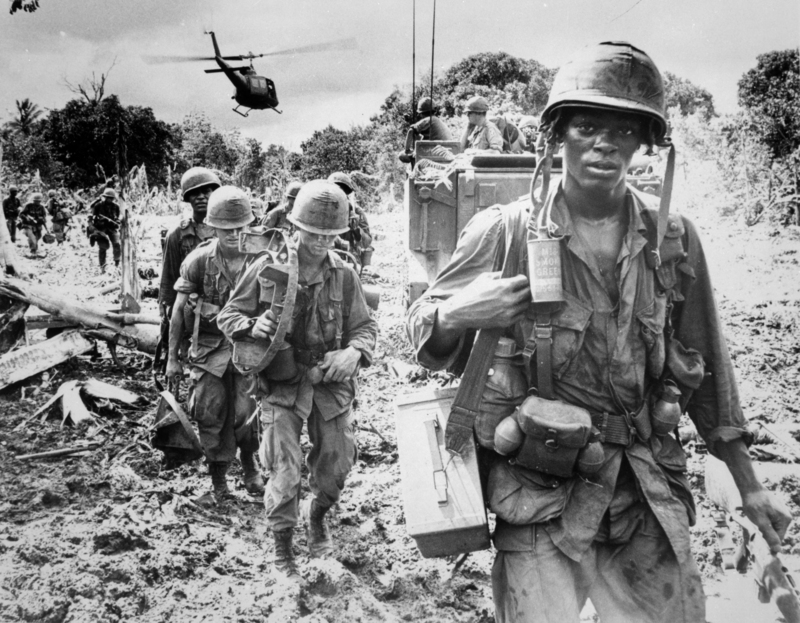 Entering the 1960s and the Vietnam War era, the mood of many residents and other Americans had changed from unqualified patriotism to confusion, frustration and anger. In order to avoid the draft, young men hurriedly applied to colleges, got married or took teaching jobs, which deferred them until a number lottery system was implemented in 1969. But others willingly joined. In 1965 Lt. Thomas Bird Jr., a 23-year-old Marine Corps helicopter pilot, became the first Mt. Lebanon resident to lose his life in the Vietnam War. In 1967, Bird Park was named in his honor. 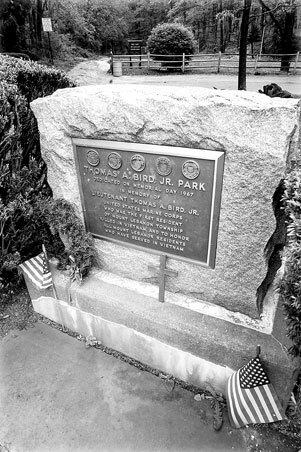 The Thomas A. Bird Jr. Memorial in Bird Park was dedicated in 1967 in memory of Bird, a Marine Corps pilot who was the first Mt. Lebanon resident to die in Vietnam. Cpl. William Morgan, another Vietnam War vet, was posthumously awarded the nation’s highest military decoration, the Medal of Honor, for courage and gallantry above and beyond the call of duty. On February 25, 1969, Morgan died in cross-fire while leading an aggressive assault on a North Vietnamese bunker so that two wounded men could be rescued. His family accepted the medal from President Richard Nixon in 1970 at a White House ceremony. On July 4, 1987, the entrance to Mt. 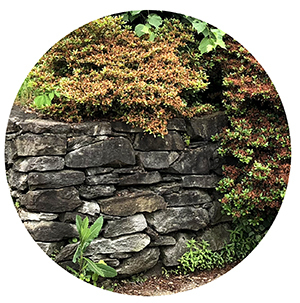 Lebanon Park was officially renamed Morgan Drive and a granite monument installed that bears two bronze plaques—one honors Morgan and the second honors the other 10 Mt. Lebanon men who gave their lives in the line of duty in Vietnam and a remembrance of all American veterans who served. In May 2012, the Mt. Lebanon Veterans Memorial was dedicated just beyond the Morgan memorial. This memorial recognizes all the Mt. Lebanon men and women who have served, currently serve or will serve their country.